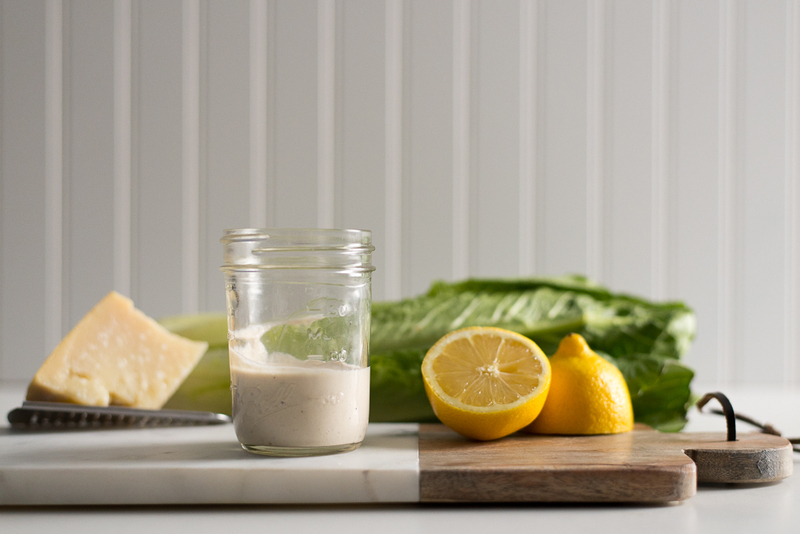 This Caesar dressing is adapted from a Jamie Oliver recipe. Unlike store bought Caesar dressing, this one is made with a Greek yogurt base, making it a healthier alternative, and one that can be eaten as an everyday dressing on any type of salad! I love Caesar dressing and this easy-to-make recipe means you and your family can have on it over any salad! Pulse all ingredients in a blender or mini food processor until blended. Add salt and pepper to taste. Double recipe and save for tomorrow’s salad.